The social network for people who want to find a soulmate and create a harmonious marriage. Abboom will search for an ideal partner for you among the millions and notify you once the happy combination occurs. Abboom's state of the art algorithms developed over the years are based on the astropsychological principles of Jyotish, the centuries-old Vedic science. Unlike the funny horoscopes found in popular magazines, Abboom examines the complete NASA-provided picture of the sky to produce hyper-personalized suggestions. It's like having a perfect clairvoyant astrologer in one’s pocket! Harmonious partnership features the synergy where the creative power of a couple is greater than the sum of separate energies of the individuals. Hence, combining ancient science with modern social network technologies, Abboom's mission is to multiply the creative energy of humankind. Since the foundation, we have built a unique dating website around the Abboom’s state-of-the-art computing system. The implemented features are far ahead the needs of an ordinary dating website. Yes, Abboom have a native chat, date invitation, biorhythm indicator and synastry analysis on free accounts! On top of that, Abboom users can learn the qualities of their nature, obtain health or career advice. We have tested Abboom and gained the prove that it works based on the actual cases of happy marriages between our users. Now, we are aimed to expand globally to deliver all the benefits to the society. Why does my profile Zodiac sign differ from the sign I know? There is a big difference between ancient and commonly known astrology. The letter is not trustworthy and does not guarantee correct calculation of the Zodiac sign, which defines the true character of the person. Abboom uses knowledge of ancient astrology that provides accurate results in the calculation of basic astrological parameters of each user. What is the Main sign (Ascending sign)? It is the sign that, as the Sun, rises in the east at the moment of birth. It determines the nature of a person, their personality and character. When people talk about the Zodiac sign of others, as a sign that defines the person, the Ascending sign is what they have in mind. As the Sun rises in the east and sets in the west. So do the constellations (Zodiac signs) - they rise in the east and set in the west. The sign that ascended in the east at the moment of your birth and in the place of your birth is your Main sign (Ascending sign). What is the Moon sign (Moon constellation)? It is the sign that is calculated according to the position of the Moon in a particular Zodiac sign during the transit through the Zodiac circle. It is responsible for your way of thinking, intuition, emotions, and inner subconscious programs. The Moon sign is the second important parameter to understand oneself. What is the planet of the soul? It is the planet with the biggest degree in a horoscope. It shows the predestination of a person, their nature, talents and true desires. Why is Abboom the best way to find a compatible partner? Abboom is the new world-wide social networking website that helps calculate human compatibility. What does the motto of Abboom «Welcome happiness!» mean?!»? The motto of Abboom reflects the main goal. The essence of Abboom social network is helping people find the path to a happy and harmonious life. What is the main principle of Abboom? Unlike other partner seeking systems based only on psychological tests or similar character features, Abboom's algorithm is based on the principles of the centuries-old Vedic science – Jyotish. With a high degree of accuracy, it helps to identify the level of compatibility between two potential partners. How is the compatibility calculated on Abboom? To determine compatibility between people according to Jyotish, the centuries-old Vedic science, precise knowledge of the following three parameters is needed: the date, time and place of birth of each partner. Then the calculation is made based on eight kutas by a specially adapted program. Kutas are the main customary compatibility parameters in Jyotish: Spiritual (Varna), Dominance (Vashya), Nature of the Mind (Tara), Sexual (Yoni), Mental (Rashi Lord), Subconsciousness (Gana), Prosperity (Bhakoot) and Life Force (Nadi). What sources of information did you use developing the website? What do I need to join Abboom? You can register in just a few simple steps. In the registration form you have enter the date, time and place of your birth. Then you have to enter your personal data (name, surname and place of residence), e-mail and password. Now you are with us! Do I have to pay to become an Abboom user? Registration and use of essential services are absolutely free. How can I find a suitable partner with the help of Abboom? You need to use the Search service: choose the target of your future acquaintance, age range and place of residence of the potential partner. You can also specify the additional search parameters: Smoking, Alcohol, Vegetarianism and Marital status. How much time does the search for a suitable partner take? Generally, it does not take more than 30 seconds. How many suitable partners will I be able to see at one time? You will be able to see all site users who are in your region and your compatibility percentage with them. In how many languages is Abboom available? Abboom is available in 13 languages: English, Spanish, Russian, Chinese, German, French, Portuguese, Italian, Japanese, Polish, Turkish, Arabic and Korean. If I have a technical problem when using Abboom, who do I contact? You can contact our technical support service using the feedback form. How does Abboom ensure user data is secure? How can I contact Abboom? If you would like to contact the client support service please use the feedback form. Abboom Limited ("us", "we", or "our") operates the https://abboom.com website and the Abboom mobile application (the "Service"). Please read these Terms and Conditions ("Terms", "Terms and Conditions") carefully before using the https://abboom.com website and the Abboom mobile application (the "Service") operated by Abboom Limited ("us", "we", or "our"). All of your uploaded photos must comply with our Terms and Conditions or they might be removed. We do not allow pornographic or other inappropriate content, incitement to violence or hate, extremist content or photos of minors. You also shouldn’t post photos that you don’t own and that are not yours, because it is the breach of copyright. If you violate our Terms and Conditions, we may be forced to delete your account. Your photo should comply with your actual age. You should be alone on the photo, your photo should be clear, it shouldn't violate ethical terms. The Service and its original content (excluding Content provided by users), features and functionality are and will remain the exclusive property of Abboom Limited and its licensors. The Service is protected by copyright, trademark, and other laws of both the Cyprus and foreign countries. Our trademarks and trade dress may not be used in connection with any product or service without the prior written consent of Abboom Limited. Our Service may contain links to third-party web sites or services that are not owned or controlled by Abboom Limited. Abboom Limited has no control over, and assumes no responsibility for, the content, privacy policies, or practices of any third party web sites or services. You further acknowledge and agree that Abboom Limited shall not be responsible or liable, directly or indirectly, for any damage or loss caused or alleged to be caused by or in connection with use of or reliance on any such content, goods or services available on or through any such web sites or services. In no event shall Abboom Limited, nor its directors, employees, partners, agents, suppliers, or affiliates, be liable for any indirect, incidental, special, consequential or punitive damages, including without limitation, loss of profits, data, use, goodwill, or other intangible losses, resulting from (i) your access to or use of or inability to access or use the Service; (ii) any conduct or content of any third party on the Service; (iii) any content obtained from the Service; and (iv) unauthorized access, use or alteration of your transmissions or content, whether based on warranty, contract, tort (including negligence) or any other legal theory, whether or not we have been informed of the possibility of such damage, and even if a remedy set forth herein is found to have failed of its essential purpose. Abboom Limited its subsidiaries, affiliates, and its licensors do not warrant that a) the Service will function uninterrupted, secure or available at any particular time or location; b) any errors or defects will be corrected; c) the Service is free of viruses or other harmful components; or d) the results of using the Service will meet your requirements. What can I buy on Abboom? Abboom offers you the opportunity to pay for certain services offered on the site. Abboom’s premium services include various opportunities to find and meet additional people, to customise your profile and to boost your profile so more people find you. All of these premium services can be purchased after you register, and you may subscribe to the premium services for various lengths of time. Once you have paid for any premium services, they are non-refundable. You can change your Auto Top-up at anytime in your payment settings on your profile page. The pricing may vary due to a number of factors, such as (but not limited to) promotional offers, loyalty bonuses and other discounts that might apply to your age group. How do I renew my premium services with Abboom? Once you have requested an Abboom premium service, you authorise Abboom to charge your chosen payment method. If you want to cancel or change your payment method at any time, you can do so either via the payment settings option under your profile or by contacting your mobile service provider. If your chosen payment method is via your mobile service provider, then please check with them about their payment terms, as their payment terms will govern how payments to Abboom are made as well as how such payments may be changed or cancelled. Your subscription to Abboom’s premium services will automatically renew until you decide to cancel, and if you have enabled the auto top-up feature, your account will automatically be topped up until you decide to disable this feature. Can I transfer any of my paid for services to another Abboom user? If you elect to partake in any of the premium features or range of services designed to improve your Abboom user experience, you agree to use these services for yourself and not to transfer (for free or as a sale) to or purchase, or sell such services from other Abboom users. Abboom reserves the right not to honour any paid for services where you have attempted to transfer those services to another use or you have attempted to buy those services from another user. Abboom will only provide paid for services to you if you are the person to whom it was issued. As a Vedic astrologer and software developer, Aleksey developed the advanced computing system of Abboom. By now, Abboom has grown into a social network based on the Vedic astrology, Jyotish. 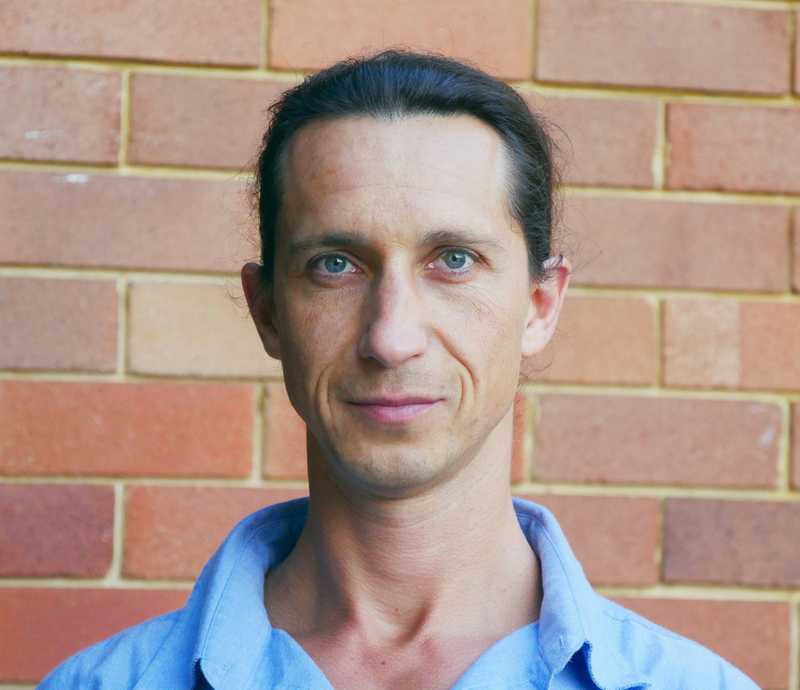 Aleksey sees Abboom’s future as a global resource promoting good health, harmonising relationships, improving financial well-being, raising individual and social awareness. The advanced features of Abboom are being developed allowing dreams of better life come true providing possibilities for spiritual growth through the gadgets that have become an integral part of many people’s life. Now is the time for humankind to benefit from utilising IT in how we find a couple. Animals meet and match by instinct. While our natural instincts have been weakened by modern lifestyle, we can complement those instincts by the use of instant communication and universal networking. ​In his researches on human compatibility, looking for a way to improve social relationships, Anton found Abboom as a comprehensive couple match sensor. «We are at the edge where the fusion of Astrological knowledge, with social networks can make the SYNERGY a norm for marriages. The Abboom's humanistic mission requires an outstanding promotion to reach and benefit the broad society. That's why I am here.» - Anton says.